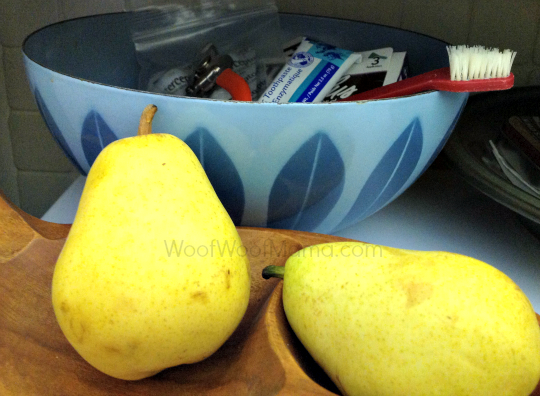 Tips for Brushing Your Dog’s Teeth + C.E.T. Flavored Pet Toothpaste On Sale! Do you brush your pet’s teeth? 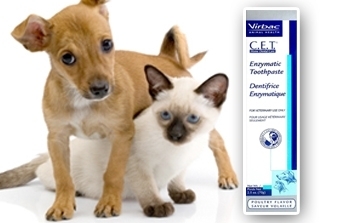 You really should, but NEVER use people toothpaste…you must use special pet toothpaste like this Virbac CET Enzymatic Toothpaste on sale right now at Coupaw.com. It’s formulated especially for dogs and cats so it’s safe when they swallow it after brushing. This is the brand Daisy uses and her favorite flavor is Poultry! To make sure I remember to brush her teeth regularly, I keep her toothbrush and toothpaste in a bowl right on the kitchen counter, along with her nail clippers and monthly preventatives. I found in the past that when I put it away after use, I forgot about it! If you’re having a hard time getting started with brushing your dog’s teeth, try putting a tiny bit of the flavored toothpaste on a treat or ice cube and let them chew it to learn what it smells and tastes like. Then the next time, put some on your finger and let your dog lick it. Then put a little on the brush and let them get used to licking that. It really does taste good to them, so if you slowly work up to brushing, and make it FUN instead of a chore, they will learn to look forward to it and think of it as a treat. Some day, I’ll video tape the look on Daisy’s face when I ask her if she’s ready for tooth brushing…it’s hilarious! She stares at me like she’s checking to make sure she heard me right, and then runs in to the kitchen and waits! If the deal is sold out or has ended by the time you get around to reading this, not to worry. You can also get CET Toothpaste for Dogs at Amazon for $7-$8 and eligible for Free Super Saver Shipping with min. $25 order. Keep this in mind and add it to an order next time you are shopping at Amazon.com and need a cheap “filler item” to get you to the minimum needed for free shipping! Here’s a list I made with lots more inexpensive pet items to add as filler to get free shipping at Amazon. Booda Bones Wheat-Free Dental Chews for Dogs up to 73% OFF! I just stumbled across big savings on these Booda Bones Wheat-Free Dog Chews in several varieties over at Amazon.com. Depending on what flavor and size you order, you can save up to $8 per bag and qualify for free shipping with $25+ or any size order with Amazon Prime. 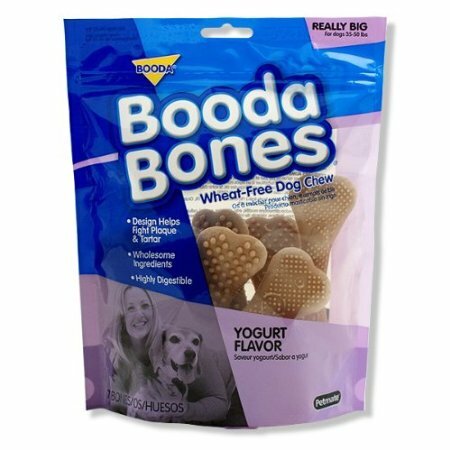 The biggest discount is the Yogurt Flavor Booda Bones at only $2.99 ($10.99 reg/73% OFF) for the 7-pack in the Really Big size for dogs 35-50lbs. The next biggest savings is the Green and White Booda Bone Assortment (Peppermint and Spearmint Flavors) at $5.79 (47% OFF) for the Really Big 7-pack. You’ll also find other flavors and sizes at great low prices, many eligible for free shipping! Booda Bones are Made in USA and are Wheat-Free. They’re designed to help fight plaque and tartar and to be highly digestible. Check them out in all their varieties and sizes at Amazon.com. 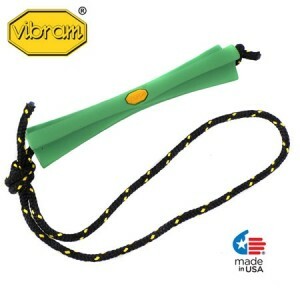 75% Off Vibram K-9 Performance 6″ Mint Stick Dog Toy with Rope Only $2.99! I spotted a new dog toy on sale at 13Deals and it’s on big-time sale! Regular price is listed as $11.95 for this Vibram 6″ Stick and Rope Dog Toy, but you can snag it for only $2.99 plus $1.99 for shipping. This toy is made by Vibram so you know it’s tough and durable…AND it’s Made in the USA! As far as I can tell, the “mint” refers to the color and this is NOT a flavored dog toy. Remember that at 13Deals, the shipping price is discounted the more you order, and they always have at least 13 Deals for you and your pet, but quantities usually sell out quickly so head on over and check it out! February is Pet Dental Health Month and DoggyLoot has a deal that will make your dog smile, and give them minty-fresh breath that will make YOU smile when they kiss you! The deal is for a Nylabone Dental Rope Toy with Dura Chew for $11. If you have saved any DoggyLoot Dollars or would like to signup here to get $5 Free DoggyLoot credit, you can drop the price even lower! This toy is recommended for medium and large dogs. A great toy that will not only be fun for your pup, but will also help promote dental health, too!